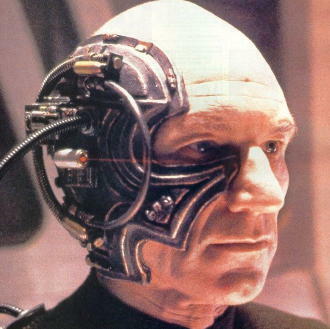 Another recent Smithsonian lecture I attended was on cyborgs—past, present, and future. A cyborg is a genetically enhanced human, a person with both biological and artificial parts—and they’re everywhere now, not just in science fiction movies! Perhaps the first representation of a cyborg in media was the monster Frankenstein, who was created from reanimated dead tissue. Later, Edgar Allen Poe dealt with that issue in The Man That Was Used Up about a man with extensive prostheses. In 1960, the term was coined to use in relation to space flight. It was decided that it would be best/most efficient to modify man to adapt to space versus adapting an environment in space to human needs. The question then became how to merge technology into the body. 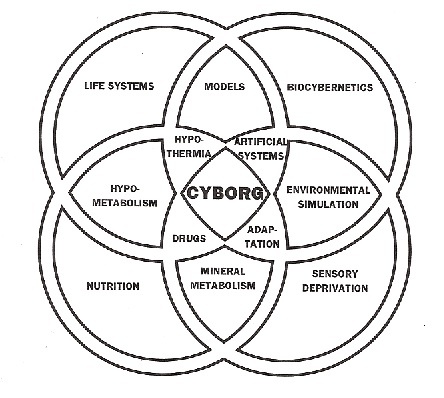 This possibility of reengineering the human body was investigated extensively in the 1960s with NASA’s “Engineering Man for Space”, the 1963 Cyborg Study. Throughout the 1970s and 1980s up until present day, cyborgs have been popping up in television shows and movies more and more: Star Wars’ Darth Vader, Star Trek’s Data and Borg, Battlestar Gallactica’s cylons, the Terminator, the Six Million Dollar Man, Gattaca, Iron Man, and many others. Now, artificial limbs and hearts, implants, knee replacements, pacemakers, and cochlear implants, among other medical advances, are accepted as quite common. What will the future hold? Transhumanism? A larger role for artificial intelligence and augmented reality? Cryogenics? Natural evolution? Only time will tell.